In these pages Swami Venkatesananda lets us experience Gurudev Swami Sivananda who preached the Yoga of Synthesis to the world and was himself a personification of the Yoga of Synthesis. 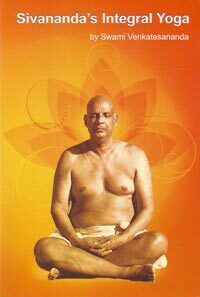 Even in old age Swami Sivananda daily practised Hatha Yoga and Pranayama and benefited greatly thereof. He could never refrain from Karma Yoga, even as a boy he had to serve, he lived to serve. His limitless love for God and His creation made him a total Bhakta. He was a perfect Raja Yogi; all the Angas according to Patanjali's Ashtanga Yoga were born with Gurudev. Jnana was his very nature; and so his actions, his words, his movements had their source in cosmic consciousness.